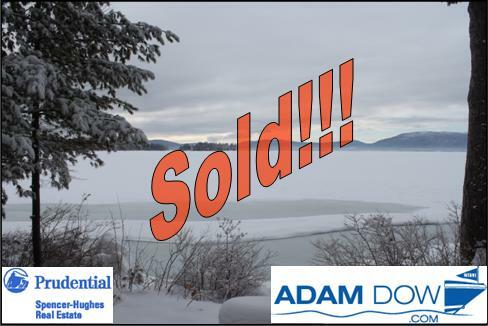 Should I list my Lakes Region, NH home for sale over the winter or should I wait till summer? This is the million dollar question. Well, you can certainly argue the properties around here look a lot better in the spring and summer, but what do the numbers say. You have to go with my logic here. If we look at properties that sell from April 1st to June 30th, we can assume that most of them were on the market and went under contract during the winter. We can use the same logic for summer, August 1st to September 30th. So, here are the number of closed residential sales in both Carroll and Belknap Counties. I have to admit, even I am surprise, I was thinking the winter numbers were going to be smaller but close. I guess people do look for Lakes Region Real Estate over the winter, to be in for summer! The only, well who knows, Burger King that you can get to by boat is closed. Gone are the days of eating Bacon Double Whopper in your bathing suit! Article Date: Saturday, April 19, 2008 A Burger King that is believed to be one of the only in the country offering dockside access will be closing on Sunday, though the longtime owner said he is still looking at alternate locations for the business. After 30 years at its lakeside location on Paugus Bay, the Burger King at 1218 Union Ave. will "unfortunately be no more" as of tomorrow, said owner Larry Kohler of Mass.-based Mastoran Corporation. Well finally some good news about our Real Estate market. I was talking with a client yesterday about how every real estate market is local, it is very hard to predict what will happen with Lakes Region Real Estate by comparing it to the California market. We simply did not have prices jump as fast as other parts of the Country, we had a steady more healthy growth. New Hampshire: The state is expected to outperform all other New England states with an average annual gross product growth rate of 3 percent through 2011. New Hampshire also is expected to lead the region in employment growth, with a 1.7 percent annual rate. But real estate values are expected to be pressured well into next year by rising numbers of people paying mortgages late and facing foreclosure. Published: Wednesday, Aug. 8, 2007New Hampshire home prices took only a minor hit, but sales volume dropped in the first half of 2007, according to the New Hampshire Association of Realtors. Residential sales volume in the first six months of 2007 was 5,929 units, down 9.3 percent from the 6,539 units sold in the first half of 2006 and down 22 percent from 2004 -- the peak year, when 7,594 units sold between January and June, according to the trade group. Residential sale prices remained relatively stable in the first six months of 2007 at an average of $303,038 -- a 1.6 percent decline from last year's average of $307,875, which was the peak year historically for January-to-June sale prices. And the June average of just under $313,000 marked the fourth consecutive month in 2007 that the average price has increased. "During this serious housing downturn in other parts of the nation, values in New Hampshire are holding up quite well," said NHAR demographer Peter Francese, who also pointed to the fact that New Hampshire has one of the lowest home foreclosure rates in the nation as a positive sign. The decrease in volume and a six-day increase in average days on market (108 in June 2006, 114 in June 2007) has led to a large number of active residential listings. Here is an article in the Union Leader, by TOM FAHEY which gives the Subprime picture in New Hamshire. CONCORD - New Hampshire will see foreclosures continue to increase into 2008 as subprime mortgages continue to fail, a study released yesterday said. Despite the increase, foreclosures will not rise to the level they hit during the early 1990s, and will not drag down New Hampshire banks, according to the study by Brian Gottlob of PolEcon Research in Dover. The New Hampshire Bankers Association asked Gottlob to conduct the study.